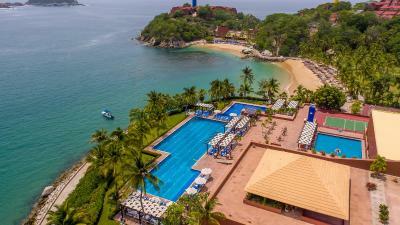 Lock in a great price for Las Brisas Huatulco – rated 8.7 by recent guests! 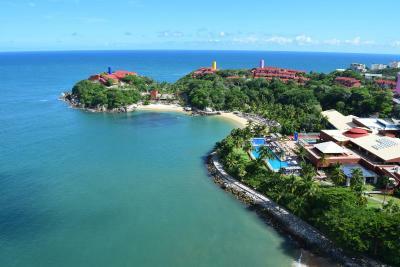 Breathtaking views, incredible beaches, very gentle and nice staff and great service. We had junior suite with amazing views nd we loved almost everything about our stay. The staff were very helpful and friendly. We didn't do the all inclusive package, so we only ate breakfast at the resort. The breakfast had lots of selection. This a great resort for the price. We went into town to eat, there are many good restaurants to choose from in town. 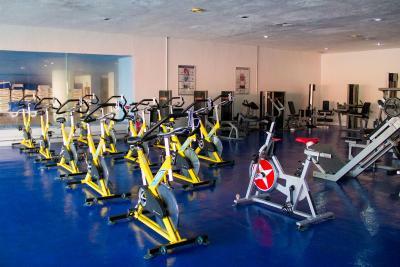 The gym was great and they offered free water sports like kayaking and wind sailing, it was great. This was a nightmare. They heard you into large open sided carts and lock you in place to transport you to your rooms. . Tne roads are narrow and you hang on for life and come within inches of stucco walls. It’s unpleasant and somewhat nauseating. The buildings that rooms are located in are like bunkers. No personality, nothing. The food is TERRIBLE, the beaches are cute but small and crowded, I guess if you want to travel with kids and never deal with them, there are activities for children. Good service and friendly staff. Buggy service was always on time. The grounds were absolutely beautiful. I loved the shuttle service provided. Everything you need is easy to reach. The staff is taking care of you. The scenery! It’s intensive to walk around for the weather, we had kids and luggage with us. However, they made it so easy to get around. Great service by all employees and they all make you feel like home. It was almost perfect, until a guest was in the swimming pool with a baby without dipper. I complained about it, until then the staff did something . (ask the person to leave the pool). Great mattress. Excellent service throughout. A big resort but well served by efficient shuttles. 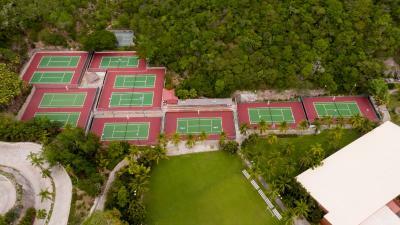 Las Brisas Huatulco This rating is a reflection of how the property compares to the industry standard when it comes to price, facilities and services available. It's based on a self-evaluation by the property. Use this rating to help choose your stay! 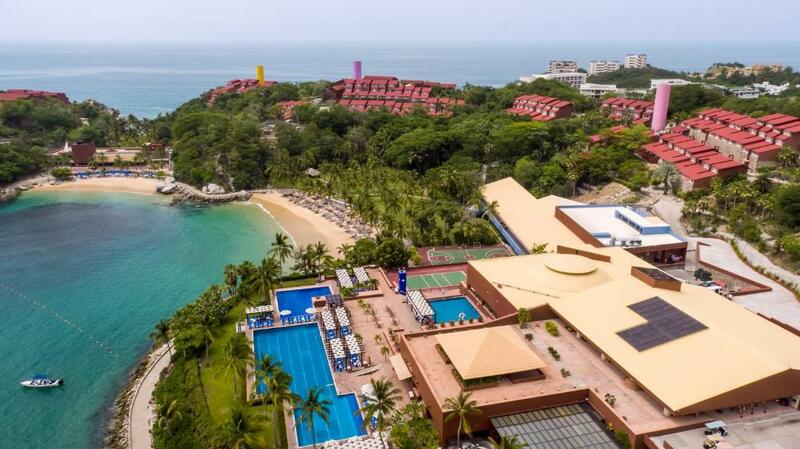 One of our top picks in Santa Cruz Huatulco.This Mexico resort is located near Tangolunda Bay and is a 5-minute drive from the Tangolunda golf course. 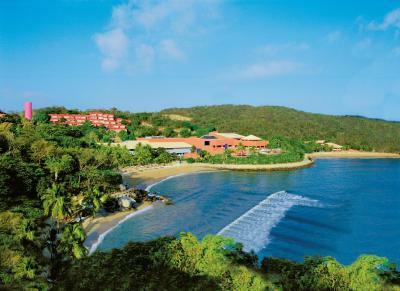 Four private beaches and a full-service spa are available at the resort. 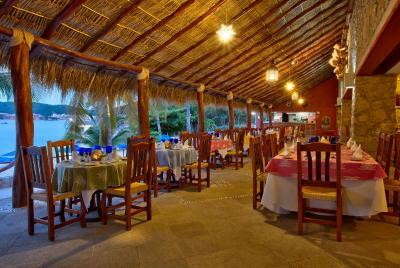 Six restaurants are on-site at the Resort Las Brisas Huatulco. 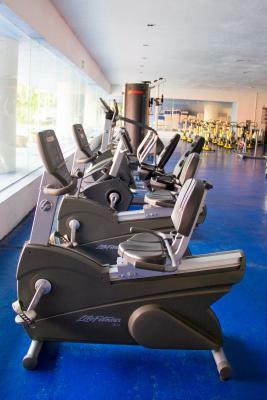 A fitness center and a 24-hour front desk are included at the resort. 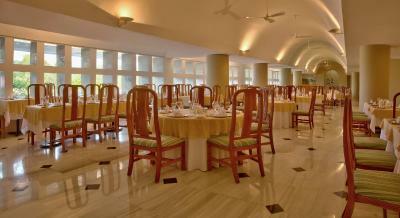 The resort offers free WiFi in the public areas and rooms. 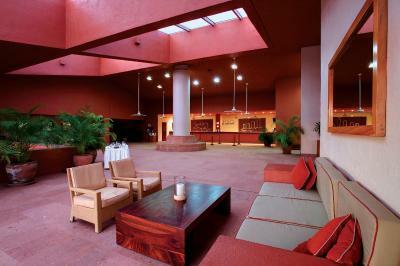 The Las Brisas Huatulco Resort includes guest rooms with a mini-bar and a coffee maker. Select suites include a private terrace and a living area. 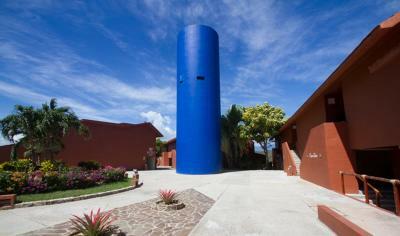 Bay tours, rafting and moto tours are located near the Las Brisas Huatulco. Sports fishing and diving are also close by. 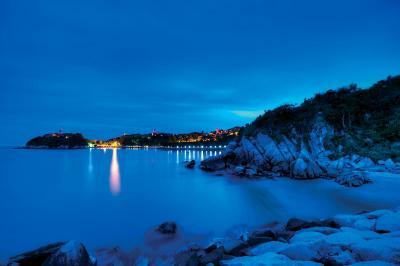 When would you like to stay at Las Brisas Huatulco? One king or Two double beds. Type of bed upon availability.This air-conditioned room features a cable TV, mini-bar and private bathroom with hairdryer. 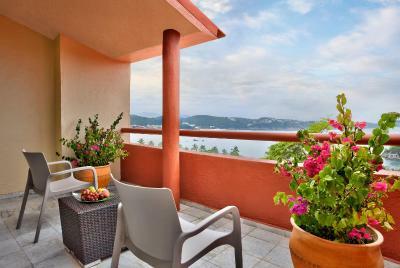 Partial or complete views to the garden or mountain but will be confirmed upon check-in. One king or Two double beds. a ceiling fan, safety deposit box and air conditioning. It also has a mini-bar, cable TV, 2 telephones, night table with two chairs, desk, vanity dressing table, private bathroom, two vanity sinks and a hairdryer. Partial or complete views to the garden can be chosen by the guest, but will be confirmed upon check-in. This suite features 1 king-size bed, a balcony and a living area. The bathroom has a marble floors, double sinks, and hairdryer. The air conditioning, a ceiling fan, cable TV, and two phones are available. This room includes breakfast, lunch and dinner. Assorted beverages are also included. Partial or complete views of the sea, or views to the garden can be chosen by the guest, but will be confirmed upon check-in. 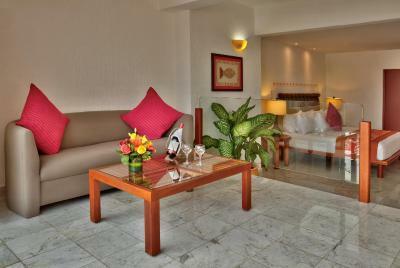 This suite features 1 king-size bed, a balcony with ocean view, traditional-Mexican décor and bathroom with marble floor, double sinks, and hairdryer. Air conditioning, ceiling fan, cable TV and two phones are available. One king or Two double beds. Type of bed upon availability.This air-conditioned room features a cable TV, mini-bar and private bathroom with hairdryer. Partial or complete views to the garden or mountain but will be confirmed upon check-in. Please note that this rooms are located downstairs. One king or Two double beds. a ceiling fan, safety deposit box and air conditioning. It also has a mini-bar, cable TV, 2 telephones, night table with two chairs, desk, vanity dressing table, private bathroom, two vanity sinks and a hairdryer. Partial or complete views to the garden can be chosen by the guest, but will be confirmed upon check-in. Please note that this rooms are located downstairs. One King or Two Double Beds. This air-conditioned room features a cable TV, mini-bar and private bathroom with hairdryer. This room includes breakfast, lunch and dinner. Assorted beverages are also included. Partial or complete to the garden can be chosen by the guest, but will be confirmed upon check-in. Type of bed upon availability. Please note that this rooms are located downstairs. Please note that this rooms are located downstairs. 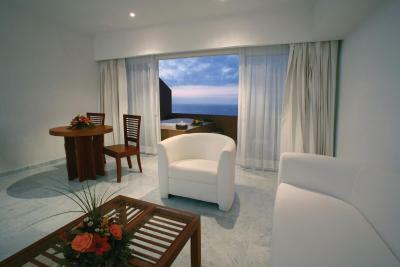 Suite with sea views and terrace with sitting area. 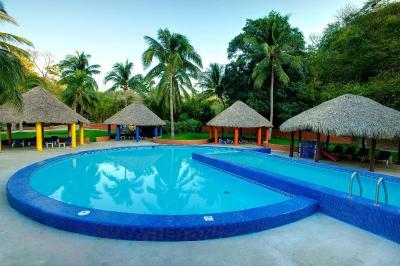 It is equipped with air conditioning, a mini-bar and cable TV, as well as free Wi-Fi and dining. The bathroom has amenities and hair dryer. This suite has a king-size bed, a balcony with ocean views, traditional Mexican décor and a bathroom with marble floors, double sinks and a hairdryer. It has air conditioning, ceiling fan, cable TV and 2 telephones. Includes breakfast, lunch and dinner. It has assorted beverages. 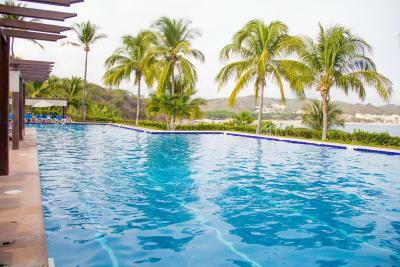 House Rules Las Brisas Huatulco takes special requests – add in the next step! 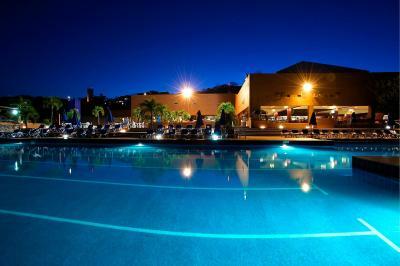 Las Brisas Huatulco accepts these cards and reserves the right to temporarily hold an amount prior to arrival. Children up to 12 years old stay free in European and Buffet breakfast plan. Children from 13 to 17 years old have an extra charge of $ 45 USD per children. All rates are per day. 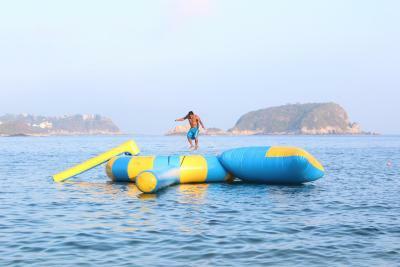 Please note that children from 7 to 12 years old in all inclusive plan have an extra charge. 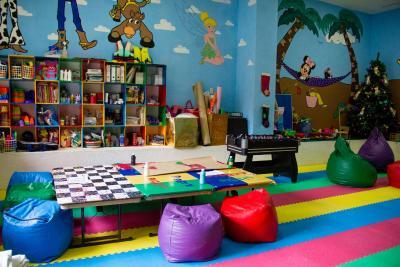 For more information about the extra charge for children for All Inclusive Plan, please contact the property. Please note that this resort can be difficult to access for people with disabilities. There is 1-night charge for early departures. Please note that for All Inclusive reservations guests under 12 years old must present CURP or valid school ID with photograph. 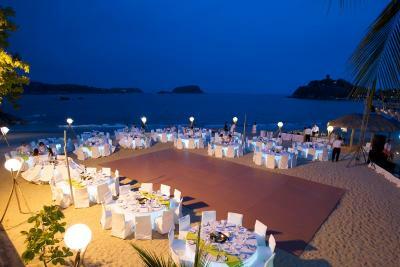 Please inform Las Brisas Huatulco of your expected arrival time in advance. You can use the Special Requests box when booking, or contact the property directly using the contact details in your confirmation. Great beach. Comfy bed. Hot shower. Clean. The staff super nice and speak Spanish and English. The pool area wasn't the best but the 3 beach areas on the resort made up for it. There wasn't a small store on site to get snacks or a bottle of water, and the resort is too far to walk into town. Because we didn't do the all inclusive package, we had to make sure we came prepared when back at the massive resort. The resort is also a bit dated. We were in two different rooms as we upgraded to a Jr Suite halfway through our trip. The rooms are dated and could use an remodel, but did not detract from our stay. A lot more should be done towards sustainability. Plastic straws and bags are still in use. Wearing suncream is allowed above the corals... Waste sorting and recycling is minimal. Specifically booked room with an Ocean view and a King sized Bed. The hotel front desk staff considered theses to be options at their discretion. Not only is that not right, it’s No way to treat a customer. Beach location and weather were fantastic. Some evenings had really loud music that we could hear in our room. These DJ events should quieten down at 9pm. Should have a bedside reading light in case one wants to read and the other wants to sleep. This is the most beautiful place we have ever stayed at. We loved walking around all the paths. There are so many different types of birds and plant life. So we'll kept. we really appreciated all the hard work that goes into this place and all the staff were wonderful and friendly. Loved all the stairs and walking! Great way to get exercise. Would definitely come here again to stay in the Mar. The BBC did not have adequate restock of liquor and mix each day for the happy hour and on Jan 29th were out of everything we like...pretty weak considering every other bar had no issues. Also no bar tender and the snacks were weak the same day. Has its own beaches. Good restaurants too. That I payed for a room with 2 beds and in the check in process, they told me that my room was only with one bed. I asked them to solve that problem, but they did it lowing the grade of the room and sent us to a hiden room with no view.